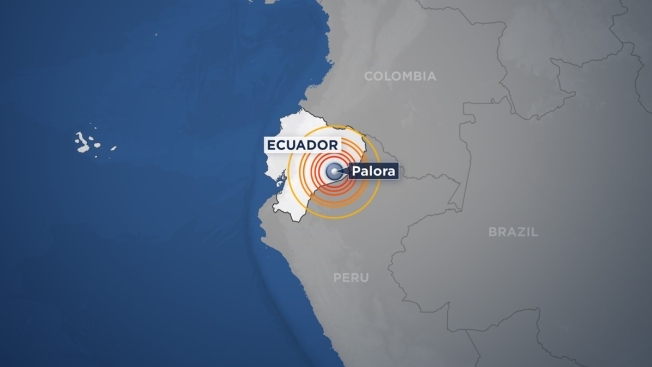 A very powerful magnitude 7.5 earthquake struck southern Ecuador in the early hours of Friday close to the country's border with Peru, although no immediate reports of possible casualties or damage were available. The U.S. Geological Survey said the quake happened at 10:17 GMT 115 kilometers (71 miles) southeast of the town of Palora, in the Morona Santiago province, at a depth of 132 kilometers (82 miles). The quake was felt in the Ecuadorean capital, Quito, and the coastal city of Guayaquil. Peru's official geophysics institute said it registered two aftershocks of 6.06 and 6.6 magnitude in the 30 minutes that followed the first tremor. Ecuador's President Lenin Moreno said on his official Twitter account that "preliminary reports of the quakes near Macas (the provincial capital of Morona Santiago) don't show major damage." The quakes, he wrote, "were felt all over the country." A 7.8-magnitude earthquake that shook a central area of the Ecuadorean coast on April 16, 2016, killed more than 700 people, destroyed hundreds of houses and caused more than $3 billion of losses.